The first lesson every young man learns upon entering the prison system is that aggression is king and violence is law. 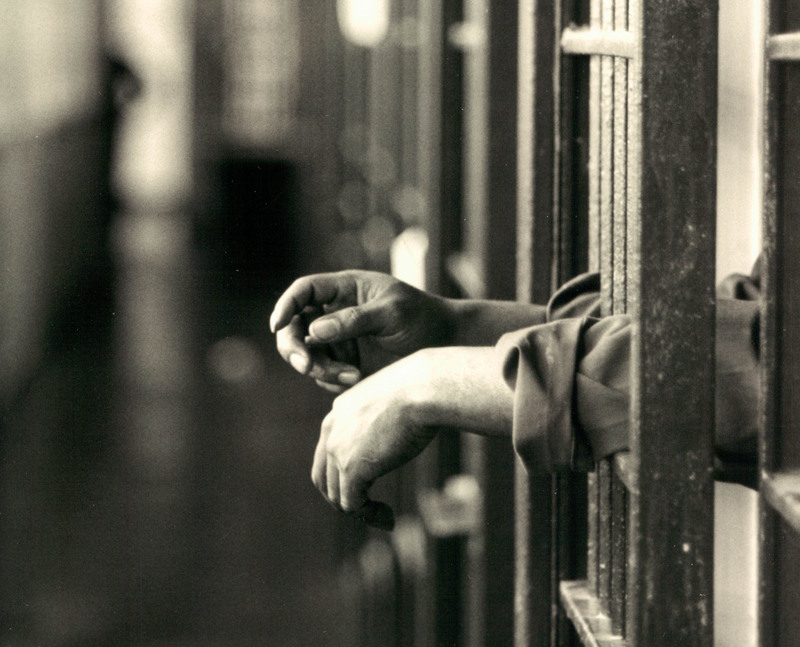 The traits that are valued in the real world — honesty, generosity, friendliness — are viewed as weaknesses in prison. Weaknesses that are pounced upon and exploited. Survival in this world depends on at least the perception of brutality and if you’re not particularly brutal, you had better be a damn good actor. So that’s what I’ve been doing for the last 22 years. Acting. Acting tough, acting hard, acting cold. Acting as if I don’t see the loneliness and sadness and brokenness that surrounds me. Why? Simple: Fear. In 1992, a scrawny teenage version of myself looked around at the savage world of prison and said to my mind, “Help! I don’t wanna be jumped or stabbed or raped or beaten to death by abusive guards. I wanna make it back home in one piece!” And my mind, amazing babbling problem-solver that it is, said, “I got this,” and went to work on building a wall and posting the ultra-sensitive ego as a sentry to ward off any potential threats. My job was to act. And act I did. I spent so much time acting that I almost lost myself inside the facade that was supposed to be protecting me. Almost. …there is nothing more honorable, more radical, more standup than the path of kindness. Especially in such a hopeless world. Suddenly — no, not suddenly — gradually, I wanted this more than anything else. Militant kindness. Love without fear. A wide open heart. For someone who has spent years coveting the appearance of fearlessness and physical strength, the concept of kindness, regardless of consequence, was a revelation. A last shot at a life of meaning and authenticity. I wanted to get back to the me I was before all of this acting BS began, back to the kid I built these walls to protect. Kindness. It seems like such an easy choice. But a crazy thing happens when you drop your guard and step from behind that icy stand-offish barrier: people become comfortable around you. Comfortable enough to open up, to confide in you, and occasionally, comfortable enough to hurt you. Or at least say things that are damaging to your ego. But that is what we want, isn’t it? It’s what I want. This lonely half-life of keeping the world at arm’s length for a false sense of safety and to defend the ego is a fool’s game and the exhaustive struggle to continue propping up an illusion is not only cowardice, it’s treasonous. Inspiring post by Malcolm Ivey. Kindness is so underrated Malcolm. I once heard someone say that if we have absolutely no ego whatsoever, then we cannot not be hurt by the words of others. Thought provoking statement. Hi Jean, that’s an interesting observation which makes a lot of sense to me. The only potential ‘issue’, so to speak, is if we try and seek ego-death so that we do not have to feel the pain of hurtful words, criticism, shame or embarrassment. My understanding is that hurtful words might \always\ hurt a person’s ‘personality’. However, if we can move towards this pain fully, accepting it, rather than in anyway avoiding it, through actually embracing/welcoming the truth of what we feel deep inside, and an awareness of how this pain arises and ceases, a degree of freedom can be found. As humans I think it is pretty much impossible to be completely free of ego (possibly a survival instinct). I like what you say about ‘welcoming the truth of what we feel deep inside’ and how it can be freeing to some degree. If someone is being hurtful towards me, whether intended or not, I don’t tend to let it affect me, much. However if it is directed towards another person, particularly someone I’m close to, it has a much bigger impact on me. I don’t bear grudges, so even if I am hurt, it’s not something that I carry with me afterwards, except for any lessons learned from the experience – that is also freeing, I suppose.